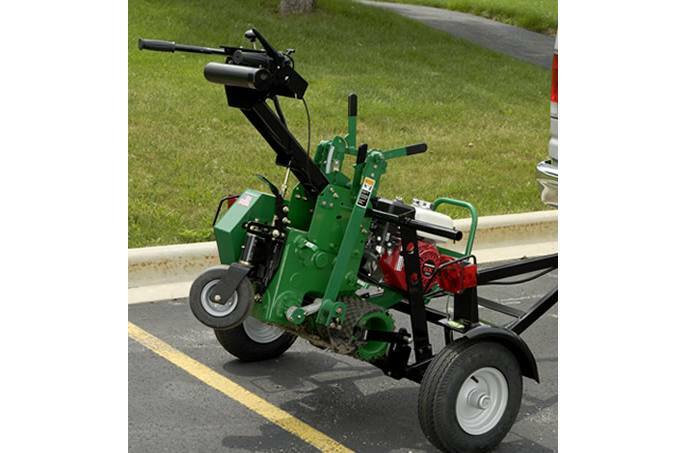 It takes just one person to load, unload and haul the Lawnaire® IV Plus, Lawnaire V Plus, or the Jr. Sod Cutter. 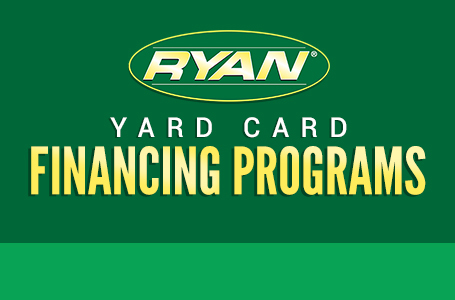 The Ryan® Tote Trailer is perfect for rental houses or lawn care professionals who need to transport Ryan equipment. 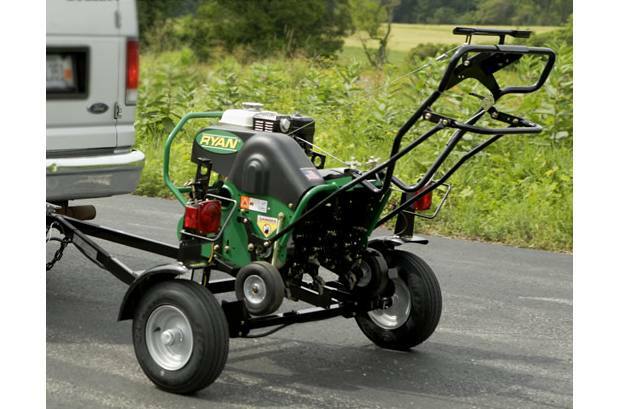 It is the Tote Trailer that gets you to the job site quickly and easily. One person can unload the Ryan equipment, finish the job, and reload the trailer without help. It takes just one person to load, unload, and haul the Jr Sod Cutter.